This month’s feature addresses one pressing concern that I know my community faces on a regular basis. 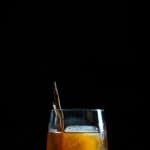 As a creative bartender (no I don’t like using the word mixologist), it can be frustrating to see delicious drink recipes online that uses ¼ oz of a liquor or spirit and have it hanging out on your bar forever. You’re not really sure how else to use it, so you just let it collect dust for months on end. For me I know it can be frustrating, especially since I don’t have enough space on my bar cart (and I have more anxious friends that want to join the cart), so how do you use these bottles, and what recipes are out there? I call this the Don’t leave me hangin’ feature because these bottles want some cocktail lovin’. They want to be appreciated, loved and recognized for who they are and what they bring to a cocktail. LILLET BLANC, DRY VERMOUTH, CHARTREUSE AND CREME DE VIOLETTE. I’ll be going through a brief history of these bottles and some of the classic recipes they are typically used for and show you new ways you can use them! Plus you will get a special bonus feature at the very end with Bigallet’s China China liqueur that is my current obsession. So what is Lillet Blanc anyways? Distilled in the city of Podensac, France (south of Bordeaux), Lillet Blanc and the brands over varietals produces a unique Aromatized Wine (also known as Quinquina). Translation? You have a wine that has added flavours and/or spirits with the addition of quinine. Lillet Blanc (or often referred to as Dry) is their white varietal, comprising of Muscatelle, Semillon and Sauvignon Blanc grapes, but they also have a Rosé and Rouge attached to their brand. If you’ve never tasted Lillet Blanc, think of it as a very delicate Dry Vermouth (which if you remember, vermouth falls into a similar category of Aromatized wine). In the odd moments where I don’t have Dry Vermouth on my bar, I will use this bottle as a substitute. So why would you have it behind the bar? This product became extremely popular in the 20’s and 30’s, and became famously recognized for its contribution to the Classic James Bond Martini; the Vesper. The classic Vesper Martini is a predominant Gin based Martini with the addition of Vodka and a touch of Lillet Blanc. I approach Lillet just as I would a sherry or a dry vermouth. It’s extremely refreshing on its own, on the rocks with a touch of soda and/or citrus. 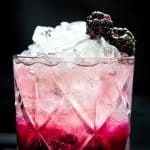 Here I’ve created a delicious sparkling cocktail that’s refreshing and insanely easy to throw together. Check out this Lillet and Basil Sparkler! So what is Dry Vermouth anyways? Dry Vermouth, also commonly referred to as white vermouth, is an aromatized wine with added spices, and in the case of vermouth, it must contain wormwood. It’s very different from its sibling ‘sweet vermouth’, and many come with different levels of acidities, spices and complexity. Dry Vermouth is typically used in a traditional Martini. Now the amount of dry vermouth that is used in a classic Gin and Vodka Martini is highly debated, but nonetheless, it is an essential to a martini. Many times when people ask for a ‘Dry’ Martini, you are asking for as little dry vermouth as possible. It’s a great way to create delicious low ABV cocktails. For those that are a bit sensitive to alcohol, and want something on the lighter side, I’ll split the base spirit with dry vermouth. Mind you, I don’t typically pair this with brown spirits, but the clear options such as vodkas, gins and tequila are a must! I have a ton of examples of dry vermouth used on Liquid Culture, which I will link below! Dry Vermouth is great on its own! It typically drunk over ice with a citrus peel, topped with sodas or tonics with fruits or even some sparkling wine can create a delicious aperitif cocktal! 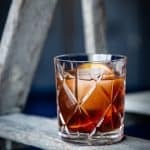 Literally there are a million reasons why I love Vermouth, and I don’t go a day without it on a bar, but let’s get to some cocktail examples. I particularly love the White Grapes and Lavender creation I made back in April! Make sure to check out the recipe attached here and below! To find more recipes using Dry Vermouth, check out these creations here! So what is Chartreuse anyway? Chartreuse is a bittered, herbacious liqueur that comes in two different varieties. The iconic Green Chartreuse (naturally coloured by the last maceration process) is much more complex and bitter compared to its younger sister Yellow Chartreuse which is sweeter with the addition of saffron and honey. The history of Chartreuse is a dramatic one dating back to the early 1700’s. Starting off in a monastery in a small suburb of Paris, to deciphering a mysterious manuscript of the famed ‘elixir’ recipe, this recipe took many unexpected turns and trials to get to where it is today. Currently, only 2 monks know the 130 herbs and plants used to make Chartreuse, and the distillation process is kept very sacred and close to the monastery. Only recently have I learned to appreciate the herbal, bitter magic that is Chartreuse. A friend of mine says that he will never trust a bar that doesn’t carry Chartreuse, and I completely understand why. My first experience with Chartreuse was tainted, because if not accurately measured, Chartreuse can be a very unforgiving spirit. You may be in that same boat. You bought it (like I had), butchered the cocktail (like I sure did), and let it hide in the back of your bar until you can trust it again (me, me, me!). If you’re new to Chartreuse, give the Yellow a try. I find it soft, delicate and sweeter than its comparative green variety. It’s just much more forgiving and easy to incorporate in a cocktail. One of my favourite flavour pairings for Yellow Chartreuse has been Chamomile, and it brought my Chamomile and Rainier Cherry Sour to life! It completely binded the flavours and this cocktail would not be this delicious creation without that gentle introduction of Yellow Chartreuse. 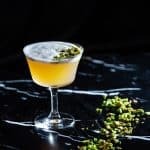 I didn’t actually have any recipes up for Liquid Culture that utilizes Green Chartreuse, so I had to change that, which is why I’m bringing you this unique recipe today! It combines Cherries, Chocolate, Mint and Rum to create an insanely refreshing summer sipper that I like to call the Cherry Bounty. To find more recipes using Chartreuse, check out these creations here! So what is Creme de Violette anyways? This unique liqueur has predominant notes of violet and floral flavours. Many distillers come up with their own version of Creme de Violette, from typically using artificial flavourings and dye, but one far from this logic is the infamous Crème Yvette. The reason you may have this on your bar is if you’re a big fan of the classic cocktail ‘Aviation’. This classic cocktail calls for Gin, Maraschino liqueur with crème de violette and citrus. It’s not my typical cup of tea, but hey, not everyone drinks like I do. I’ll admit, this was an extremely hard bottle to try and pair. Too many products out there offer an overly sweet and cloying product, that I pretty much run the other direction. So make sure to give a few brands a taste before you invest in a bottle. I’d personally just pick up the Crème Yvette bottle if you were looking for these similar tasting notes. Today I’m bringing you a recipe and concept I hold dear to my heart, and that’s a boozy gelato floats. Forget creamy beer floats, and start enjoying some summer variations! This light and delicate version uses a Strawberry Gelato with Lavender, Mint and Wit Beer (or pilsner). Some other suggestions I have for this liqueur is using it how you would St Germaine. 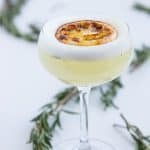 It doesn’t need much to go a long way in a cocktail, and I would keep it paired with bright and sparkling flavours and textures. To find more recipes for my boozy gelato float, check out these creations here! So what is this China China Liqueur, and what makes it so special? This product brings something totally unique and different to any bar, which is why I wanted to share this with you today. For those looking for something not as bitter and herbaceous as Fernet Branca, but you don’t care for the sweetness of red vermouth, than this is the liqueur for you. Coming out of France, and having nothing to do with China, this citrus-forward, cardamom and bitter liqueur is the perfect supplement to a ton of your favourite classics. So how can you use this bottle? Well I find it to be an easy substitute for sweet vermouth in your classic Negronis and Manhattans. If you have a library of cocktail recipes with Fernet Branca, or sweet vermouth, I would definitely use this here. As I mentioned, it’s that happy medium. Now the only thing about a manhattan, is that I may throw in a cube of white sugar, to supplement the sweetness aspect that’s missing. Or pick up a rye and/or bourbon that’s sweeter on its own, so that you don’t have to throw in the extra calories. It’s also great for sipping on its own with an orange peel, which for me is the perfect ending to a meal. Forget the port, you’ll want to enjoy this instead! I can already hear my Italians thanking me for this. 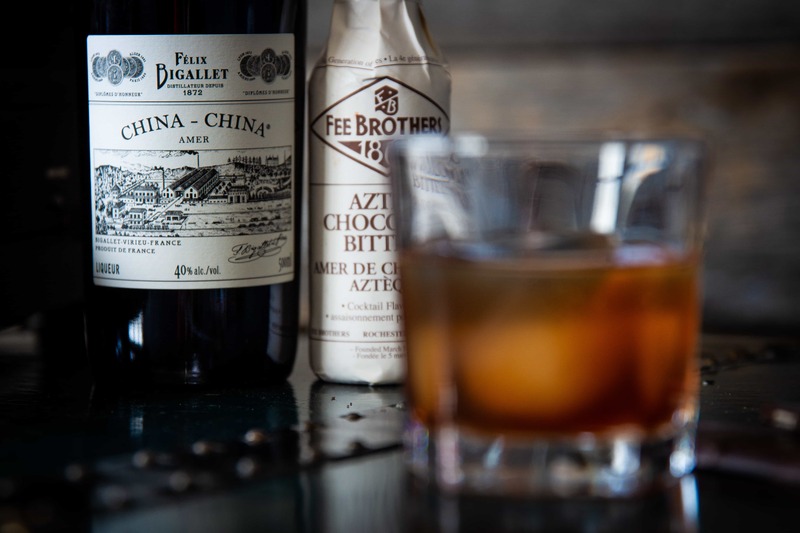 Find the delicious Bitter Cocoa cocktail that was created to celebrate National Scotch Day here! Did I miss anything? Is there something on your bar that you wish you can get rid of but you don’t know how? Comment below and I’ll make sure to include it in this article! Cheers!